A fine example of International style of architecture was designed by City Architect Stanley Roscoe, replacing an early Richardson Romaneque building of 1890. The building exhibits many of the characteristic of the style – a raised podium, part of the building is raising on pilotis and a graceful glass curtain-walling system. 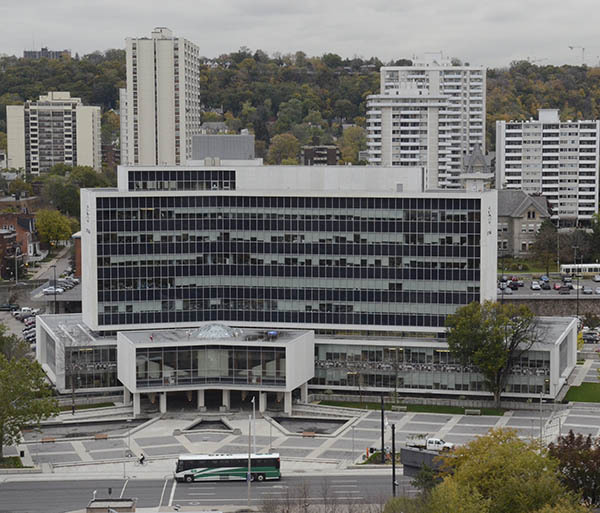 In 2005, Hamilton City Council designated the building as a heritage structure. Among the listed heritage elements on the exterior are the Italian glass tile mosaics.